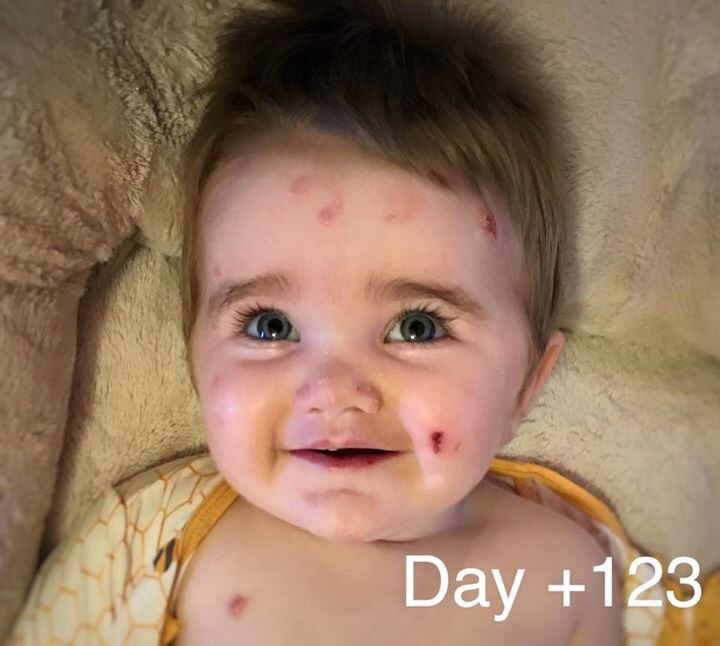 The good days continue: the Epstein-Barr Virus (EBV) results came back negative today! We will keep checking them weekly, but this was so good to see and hope it continues to be negative. Yesterday I met with the Infant Development Program, which is a vendor for Alta (a local program to help kids 0-3 years with delays), so Kiira is going to get therapy services. 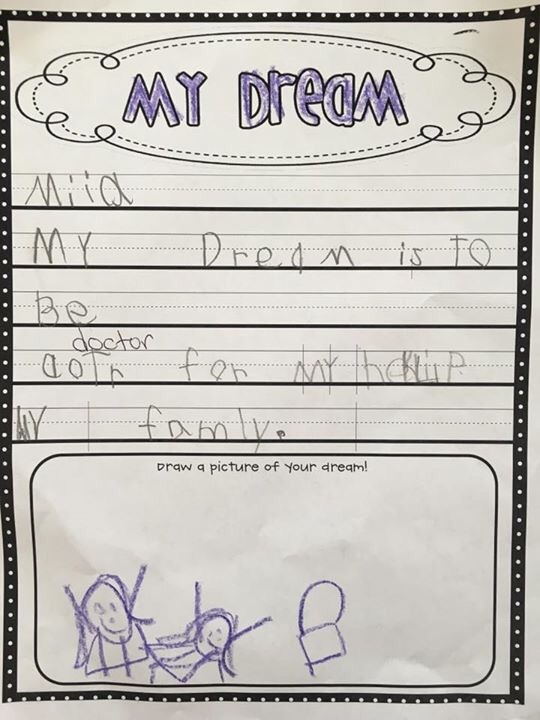 After Occupational Therapy, Physical Therapy, and Early Education evaluates her, they can recommend us to Alta to get additional services outside of their scope like medically-based feeding therapy if she needs it, which would save us the expense of it through insurance. So after my frustrated post several days ago, it looks like things are falling into place, even though we got another denial letter from California Children’s Services. I also had some wonderful time with friends last night and today. 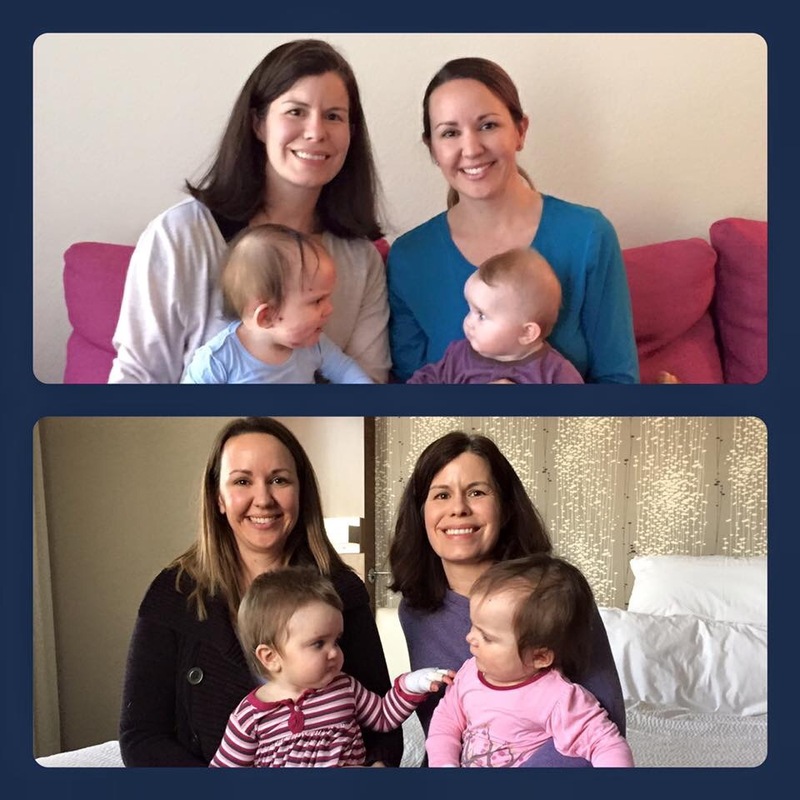 I am so fortunate to have found an amazing group of moms in my church to share life with, and at the same time, planning a trip to see my college friends who have been there through all the ups and downs for over 15 years. I really don’t know what I would do without friends and family. Kiira is really picking up on social cues now and understands when we tell her no and she says thank you and please, and gives hugs while saying “Awww”, and freely gives kisses. I love the little person she has become. Today was a good day! Labs went great–I love the two women who treat Kiira like a fragile china doll, with such tender care as they draw her blood. She only cried for a few seconds and they got all the blood they needed in one poke. Now we anxiously await the results of the Epstein-Barr Virus (EBV). We hope the numbers have continued to go down on their own. Kiira also had feeding therapy, which went well too. She has made some small improvements, but we are so happy that the trip to Minnesota didn’t set her back. We had dinner with my brother and sister-in-law and the 6 kids had an opportunity to play together. It is really fun to watch them grow and interact, especially now that Kiira and my nephew are getting to the age where they can play more. Tonight I checked out Kiira’s re-injured foot and it looked so much better. For once, the blister didn’t refill and grow. We are trying yet another new wrapping technique and hope it prevents future injuries. I often get the question where we learn to do wound care. While the EB community provides tips to each other, so much of it is trial and error. We adjust as needed according to how and where she gets injured. Her room is full of various types of bandaging products and we use at least 8 different things to protect her. We may try different products or cut them differently or add more, all in attempt to heal faster with less scarring and protect her from future wounds. As you can see, Kiira’s hair is growing and so crazy–it won’t lay flat, but it fits her spunky personality. She continues to amaze me and I’m so thankful for days like today, where we can just thank God for a break, for a breather before we face another day. Please pray that the EBV is going away on its own and that the donor cells are coming back up. Thank you!! Day +207: We’ve had a great weekend seeing different friends every day, celebrating friendship, a new baby, a birthday, and even the memories we had with our friend who passed away 2 years ago. Since we’ve been back from Minnesota in October, we haven’t had a lot of time with our friends, so it was really nice to have that time together. Kiira is doing fairly well. She re-injured her foot today and her fingers and tongue are constantly blistering and I read Facebook posts about the hardships of EB throughout various stages in life and I get down about it, but overall she is doing well and she keeps up our joy. Tomorrow she gets labs, which I dread, but hopefully they’ll get it in one poke. Then she has feeding therapy and hopefully she has made progress since last time. It’s hard for me to see it since it’s subtle differences from day to day. We are so thankful for friends and family who provide help and support though. It eases a huge load from our shoulders! Of course the prayers are amazing too. Although I might get frustrated or down at times, I feel a sense of peace that we could not explain as anything other than from God. Day +203: We got the results about Epstein-Barr Virus (EBV) today. It’s gone down from 2600 to 2200 (Friday’s draw) and now 1400 (Monday’s draw), so we will test it weekly until it’s gone. Or if increases, we will treat it. It’s good news and we hope it trends down quickly, because weekly lab draws are increasingly difficult and EBV can affect the bone marrow transplant, but we are happy about the results so far. Kiira’s oldest sister told me today she wants to be a doctor when she grows up to help EB kids. She is almost 6 and has a lot of time to change her mind, but it’s so precious to see the positive role EB has in her life for now, considering there aren’t too many. Love my girls! Day +202: So obviously we made it home safely last night. We didn’t get the Epstein Barr Virus (EBV) results yesterday or even today, but I’m hoping to hear tomorrow. They decided to pull out the PICC line, because it’s a source of infection, but even just pulling it reminds me how brutal an IV infusion will be without it if Kiira ends up needing Rituximab to treat EBV. 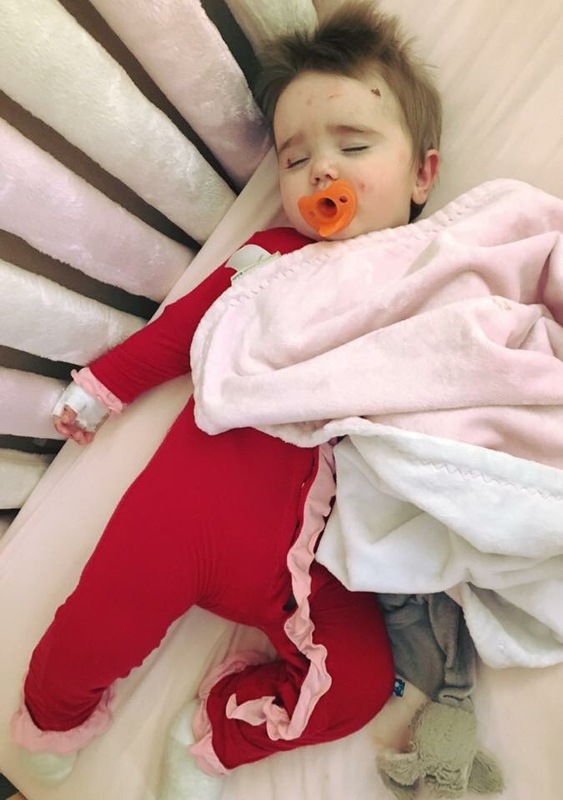 I’m glad my mom got a taste of what we go through this past week, because I’m not exaggerating about holding Kiira down while she screams when I write these posts. 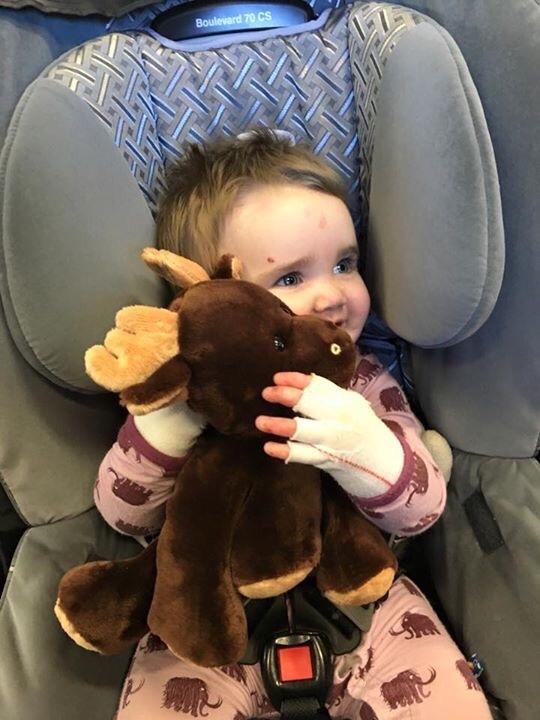 We did get one test result back that shows Kiira has 7% donor cells in her skin from the spot they biopsied, which is a surprising improvement from 2% from October, considering her bone marrow engraftment has decreased. We don’t know what those donor cells are doing for her, but I’m sure hoping they start making Collagen VII so her skin doesn’t tear so easily. A huge thank you to the families who provided dinner for us over the last week and even tonight. It is so nice to have one less thing to do. Thank you!! And thank you still for your prayers and words of encouragement. They really do help me feel at peace through all this. 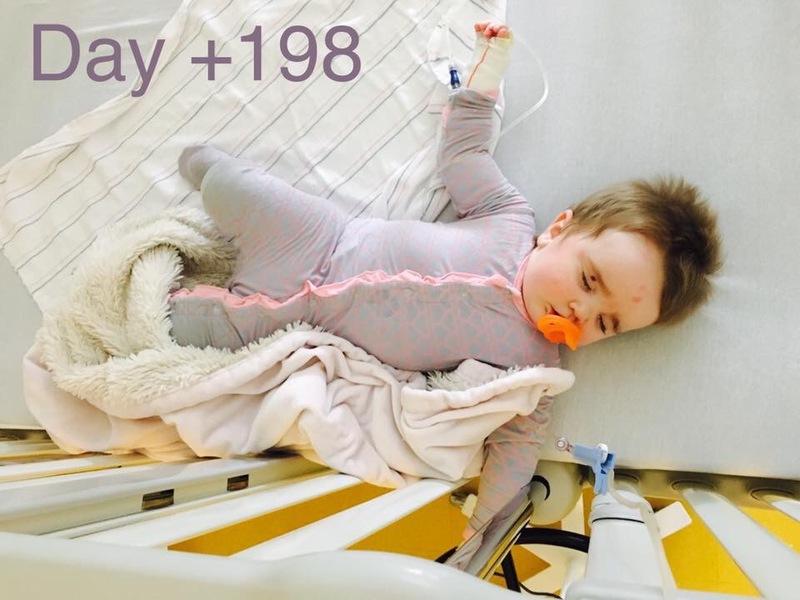 Day +199: Today was the first day since last Sunday without any medical treatment for Kiira and it was so nice. We slept in, had a late leisurely breakfast, walked in zero degree weather to a coffee shop, and had a visit from Stacey, Adriana and Adriana’s daughter Jenna, a 2-year old who also has RDEB. We took the top photo when we met last June. The bottom photo was from today. The girls are still checking each other out, but with more hair these days. Jenna said Kiira is her best friend and it filled my heart with joy that Kiira will know other kids like her. It’s so wonderful to meet other families who have EB. 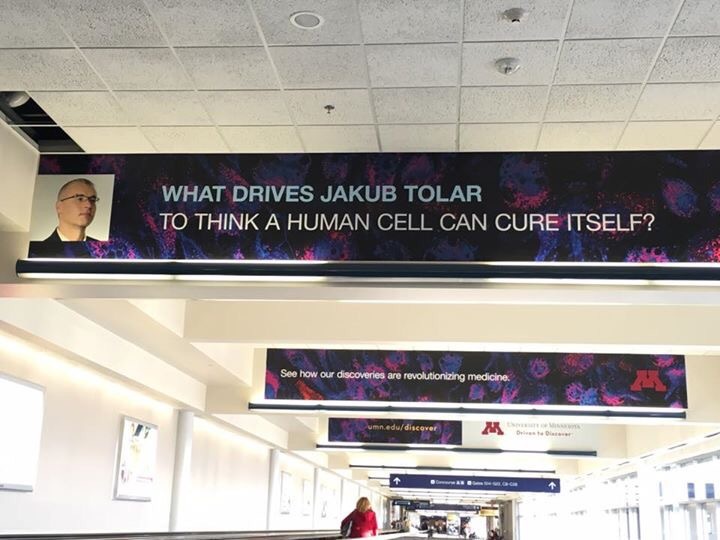 It’s a rare condition and there aren’t any kids near where I live, but because of the EB expertise and trials at the University of Minnesota Children’s Hospital, it’s a place where we can meet and watch our kids grow, swap ideas and support each other through the tribulations EB brings. It feels like a second home to me. Kiira is doing great. She was so fun today and I loved seeing her be free of IV lines and drugs that make her drowsy and feel lousy. We are still waiting to hear the results of her EBV test, but at least we are having fun while we do. Because a planned easy/boring day in the hospital is like a jinx, Kiira made it more interesting once again. 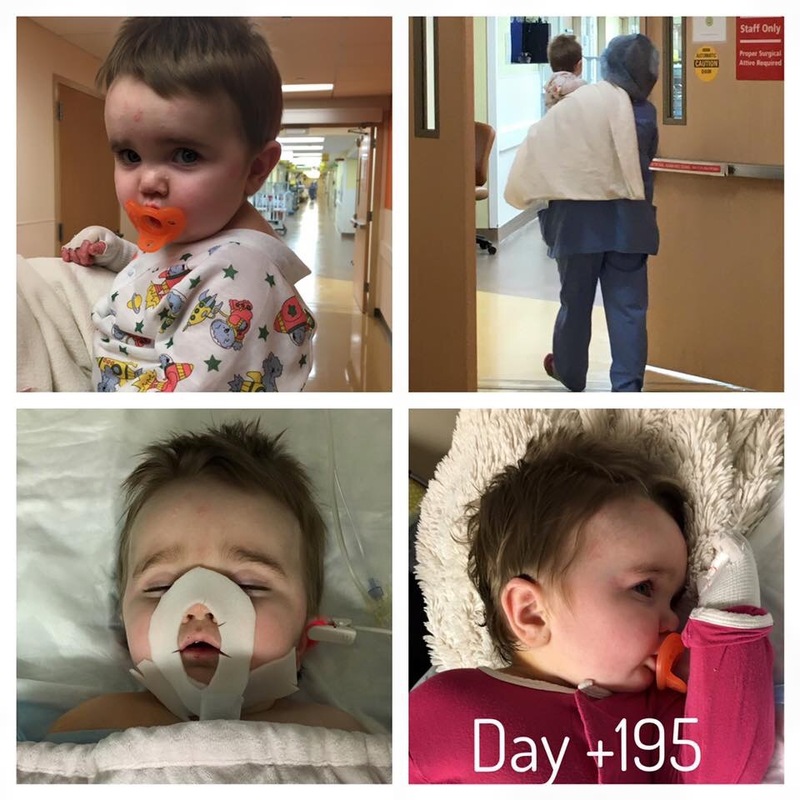 Her IgG levels were low, which meant she needed an IVIG infusion. I remember how miserable the one in November was without a PICC line (took numerous pokes and 90 minutes to find a vein and still ended up infusing into her arm instead of a vein), so I asked if they could give it to her before we take out the PICC today. Luckily they had an opening in the infusion clinic, got quick insurance coverage, and got her infusion going by 11, so we were done by 2. Another issue was that the Epstein-Barr Virus (EBV–not to be confused with EB) is back, measuring at 2200 from Tuesday’s labs. It has stayed away since her 1 treatment for it in September, but decided to show up again. They drew another lab for it today. 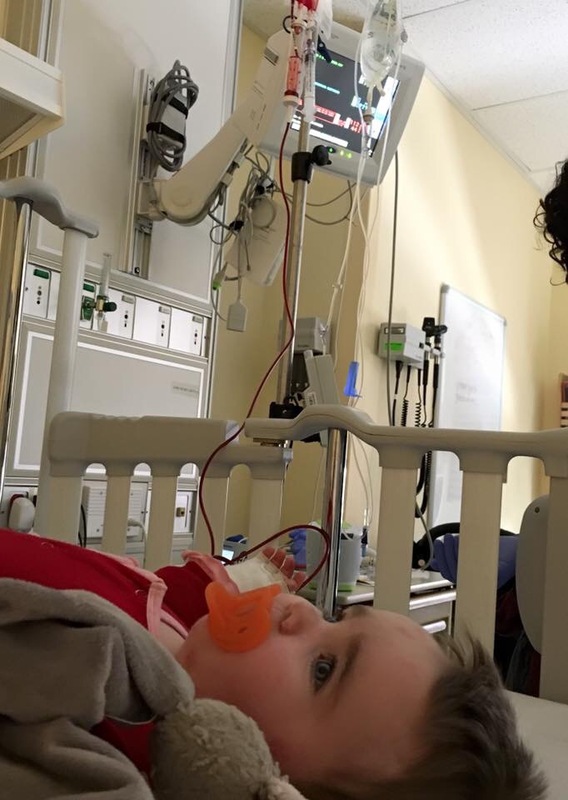 If it is back down, they won’t treat it, but it is the same or higher, she will have to do the full 4-week treatment this time, which consists of a long infusion each time, but can be done home in California. If you recall, EBV can cause the loss of a transplant and other very serious complications, so it has to be treated. I actually want to keep the PICC in for those treatments if needed. It requires daily care, but it’s worth it to keep Kiira from so many pokes and the huge discomfort that comes from holding her down for it. We should have lab results back by Monday, so we will come back then to remove her PICC line if the EBV went away. We just keep rolling with the news day by day. I’m not freaking out like I did the first time she had EBV. They caught it very early (labs from Dec 30th did not detect it), so we’ll pray it’s gone today and if not, we’ll deal with the treatments. 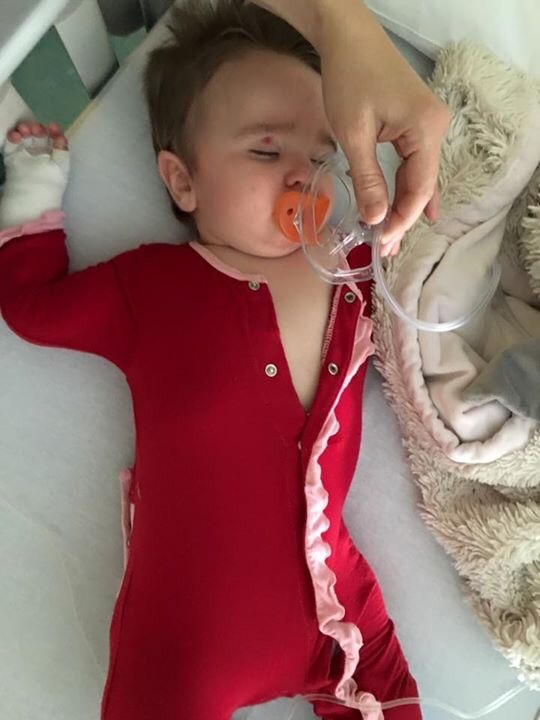 My main concern is this boost–praying it increases her counts, EBV and treatment doesn’t interfere with that and Kiira can keep being a trooper through all this. Thank you for your prayers and well-wishes! Kiira did great last night and honestly, it was my best night of sleep since arriving in Minnesota too. Her oxygen levels remained high on their own and eventually her blood pressure lowered too. 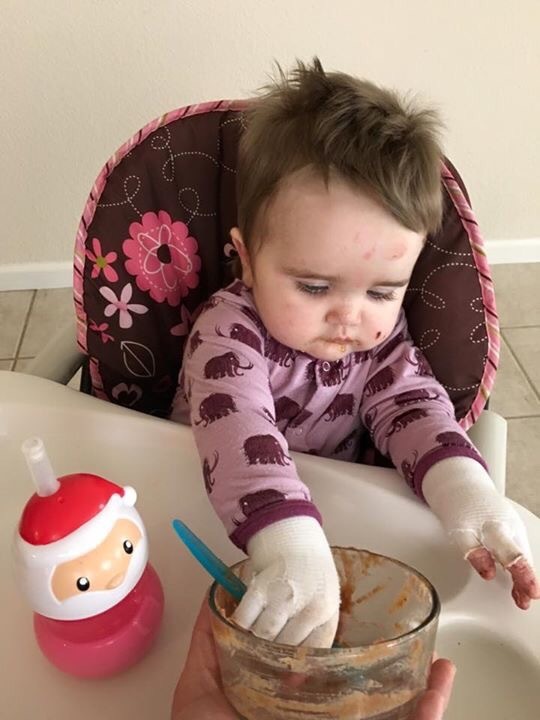 We were discharged this morning and we gave her a bath and full bandage change since she threw up from her vitamins this morning. 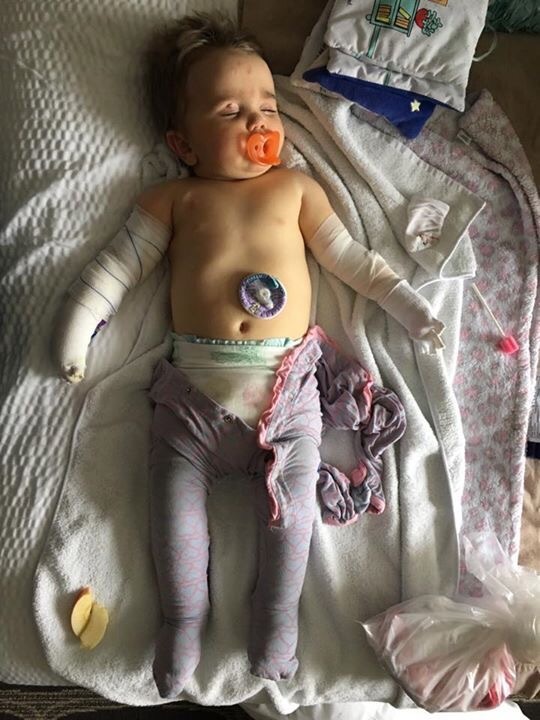 She fell asleep during bandages which almost never happens but made the end of the process easier. She is still napping and doing great and I’m getting a rest too while my mom does our laundry (thanks mom!)! We have one last appointment tomorrow for labs, a check-up and to get her PICC line removed. Please pray she continues to do well and her labs come back normal so that we can return home on Monday as planned. And keep praying for these cells to grow!! After an unexpected turn of events, we landed an overnight stay on the BMT floor. 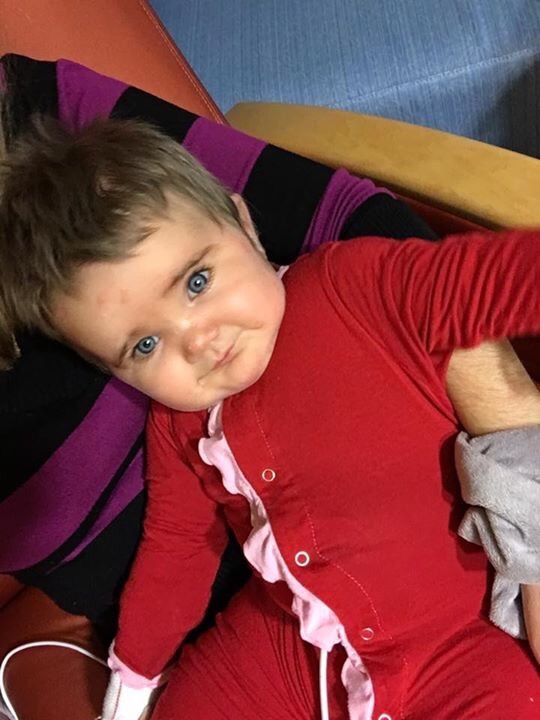 Kiira received the final donor cells after a 2-hour flush with saline and started on her 6-hour flush following the blood. The large volume of fluid led to raised blood pressure and a drop of her oxygen level to 74%. We couldn’t get her oxygen to stay up without an oxygen mask for a couple of hours. By that time, it was late in the day, her blood pressure was/is still high even after IV hydrocortisone, lasix (to help remove fluid), and blood pressure medicine. So we are back on the BMT floor for the night to monitor Kiira, although Kiira is doing well and maintaining her O2 levels now. It’s nice to have someone monitoring her though to make sure she does well through the night. Kiira has also had some blood in her urine and her sudden runny nose was tinged pink, so all this extra blood is finding its way out. Plus the preservative in the blood makes her smell like cooked veggies, which is almost intolerable at times, but to cuddle with her as I’m doing now is worth enduring the smell. Please pray her stay is short and she continues to do well through the night. It was a long day, but we made it through! 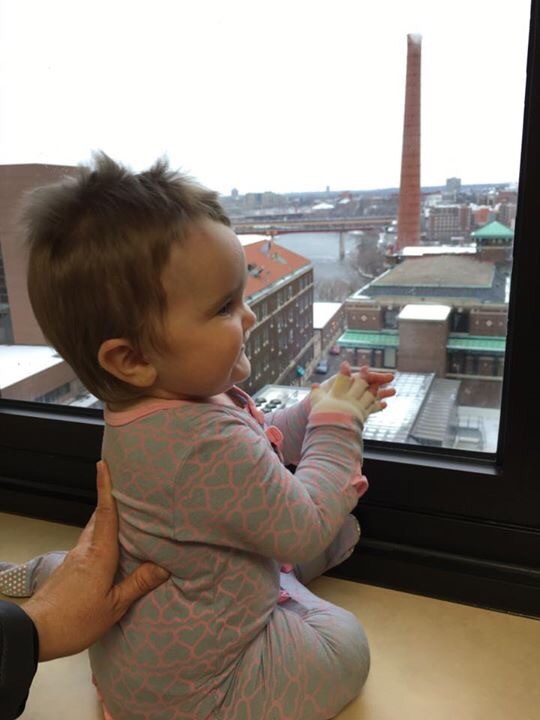 We waited in pre-op for nearly 5 hours due to an emergency in the adult surgical unit (the patient is ok thankfully), so around 4, Kiira got to go in. They gave her Versed, a light sedative before they took her, and she was so loopy. It was kind of funny watching her. Her endoscopy went perfectly. Her esophagus, stomach and small intestine look great and needed no biopsies. 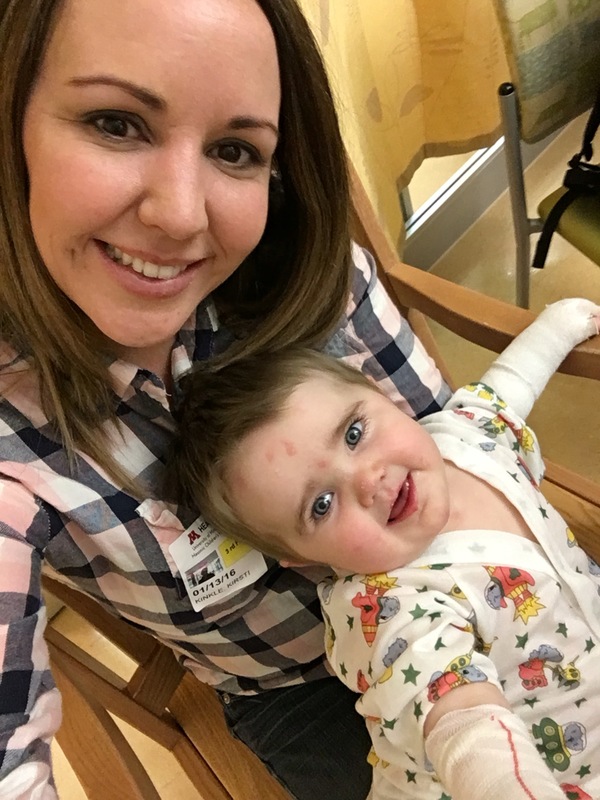 With EB, there is a huge concern with blisters, scarring, webbing and narrowing of the intestine to where some people can’t even swallow and need frequent dilations, so this is wonderful news that Kiira’s is clear and an answer to one of our prayers! Then she had her PICC line placed in her right arm so she can receive her donor blood through it and that went well too. Last, she had her biopsy (another 5 skin punches on her right thigh), pictures of her skin with all bandages removed, and a blister test, where they purposely induce a blister to see how long it takes. In June, it took 7 minutes, in October it took 1-1/2 minutes and now it took 9 minutes. Based on these results, I’m not sure this is the most accurate test unless they did it in different places and one area was extremely sensitive. This is compared to a carrier of an EB gene like me that might take 20 minutes and a non-carrier would take 40 minutes. After the procedures, my mom and I re-bandaged her in recovery before she came off sedation. She had a new blister on her knee because I took her tights off in pre-op, not realizing she would be crawling around for hours, even though it was on a soft mattress. That’s how quickly it can happen and how important our particular bandaging techniques, including tights to hold the bandages in place, are to her care. But they took great care of her in the OR and no skin injuries resulted from them handling her. 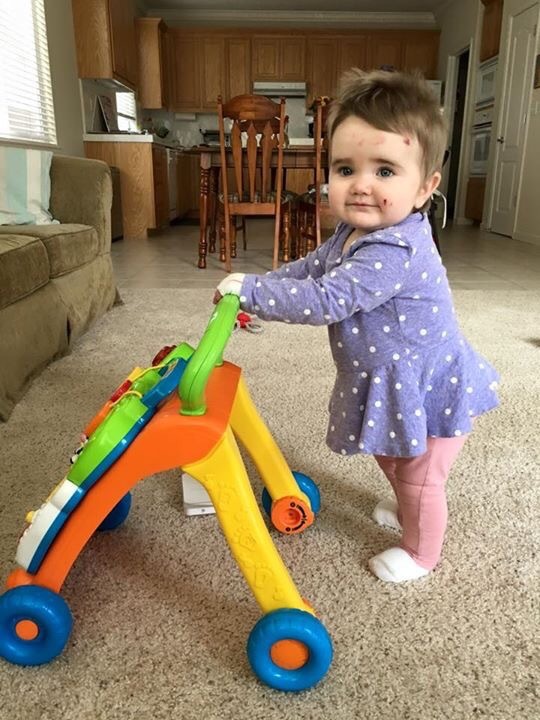 They all think Kiira’s skin looks great and maybe it does for someone with EB, but as a mom, seeing the number of scars and healing wounds our 15-month old already carries, it’s not “great”. I know though, it can always be worse. Kiira woke out of sedation so grumpy. I’m sure things hurt a bit, she was hungry and confused. It took about an hour to get her calmed down and we got back to the hotel at 8pm where she could play for a bit before bed. I’m so thankful all went well today and those prayers were answered. So tomorrow we start at 8 am in the infusion clinic to get her donor cells. Please pray that these cells grow and we can save her transplant and the transplant can improve her skin! 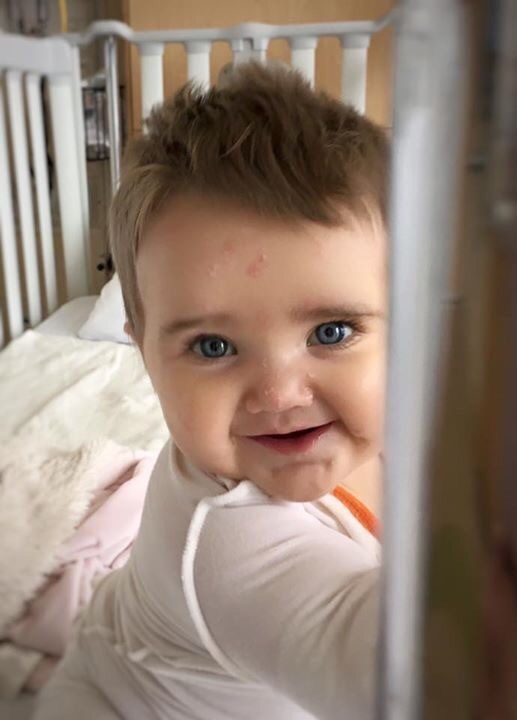 As for her 15 month stats–23 lbs, 29″. She says numerous words and animal sounds, but her favorite is to roar like a lion. She loves to say, “What’s that?” about everything and is very observant, but loud when she wants to be heard. She sings “Let it go” (a very short version) from Frozen and it’s the sweetest little song. Sometimes she talks to the ceiling/air and I wonder what she sees that I can’t. 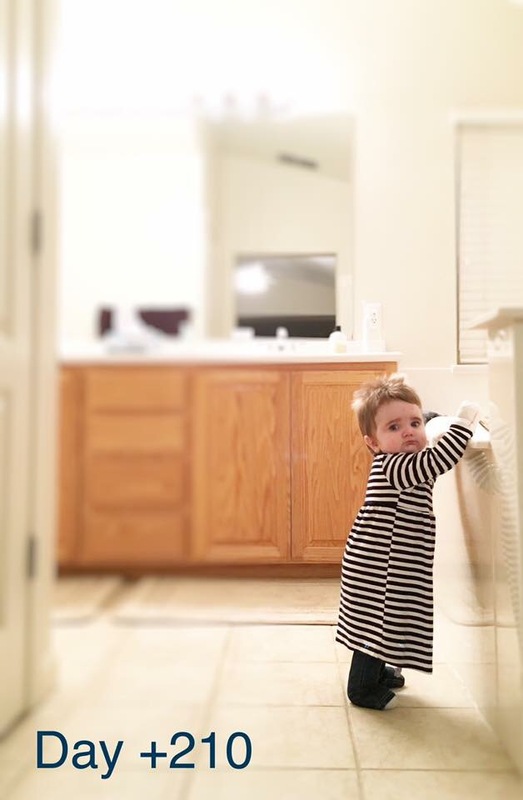 She stands for a couple seconds without holding on and cruises or walks behind a walking toy. She points to her owies now and likes sympathy but will let you know when she is mad. 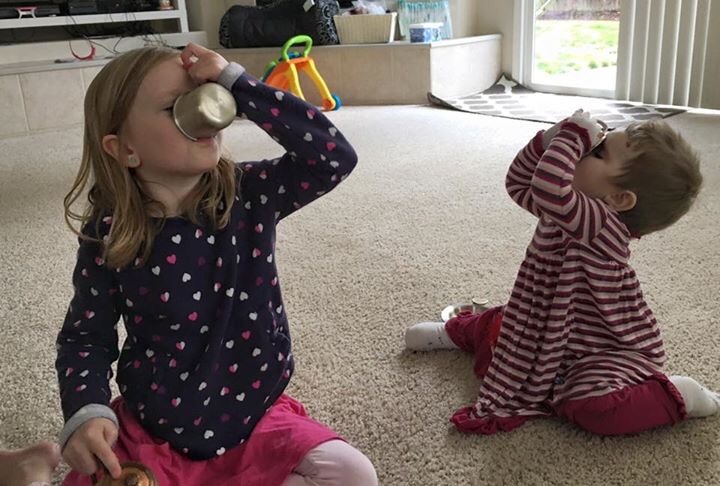 Kiira knows how to bug her sisters, but they love each other so much. Kiira’s EB might be the forefront of my thoughts and posts, but she is so much more than that and I am blessed by her presence in my life. She is my love!